With tomorrow’s Old Firm ‘title decider’ upon us, we’ve certainly seen the media hype machine in full flow of late. 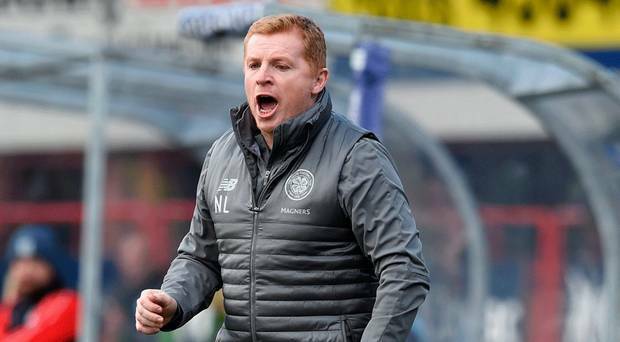 And Celtic’s Neil Lennon may just have dropped a bit of a gaffe in his fans’ eyes by admitting Rangers are Celtic’s ‘nearest rivals’. Remember, Celtic fans have refused to acknowledge the ‘Old Firm’ for years now, while rather enjoying suggesting Aberdeen were their biggest challengers, but their interim manager has worded things in a way they might not be too thrilled with. "It would be a hammer blow [to Rangers] but again, not insurmountable. Again we are talking hypothetically. The objective is to win the game whenever we play our nearest rivals so that is not going to change and the mindset will be, 'we are at home and take the game to Rangers at every opportunity'." This is either lazy language or quite deliberate – Lennon made no reference to ‘current nearest rivals’ which his supporters would probably have preferred, but just in general ‘nearest rivals’ in a very possible admission he and Celtic no longer acknowledge Aberdeen as the second best side in Scotland, as they have been for the past six or seven seasons, but now Rangers. Of course, it is factually correct that Rangers are second right now, and ‘nearest’, but that omission of ‘current’ implies Lennon will always see Rangers as Celtic’s main rivals whatever piffle his supporters might think.